The best word to describe our new apartment? Calm. Even being on a busier street in Santa Monica and always having cars going by, this new place is absolute calm. And after the nightmare that our last place turned into, it is precisely what we all needed. We sleep better. We relax better. It’s just so much better. 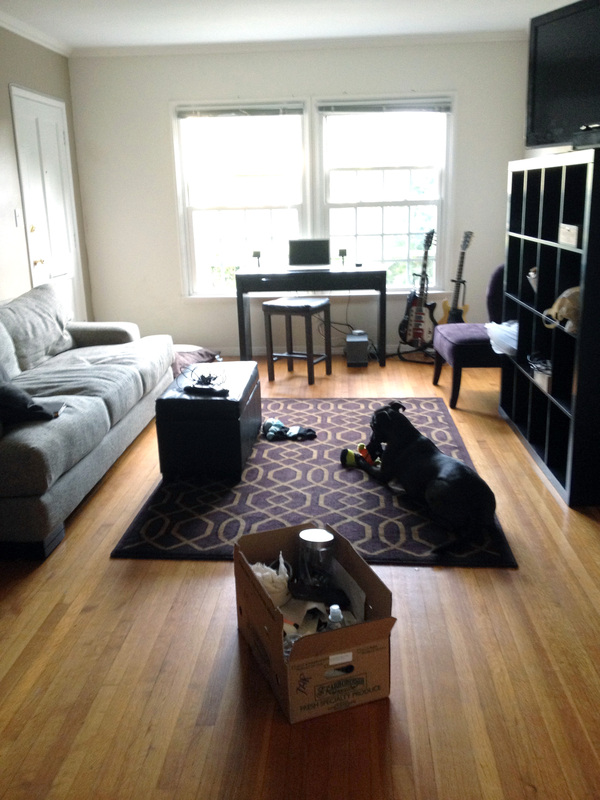 A few things that are better about the new place? Even on the first day in, Gibson was more relaxed. Not that Gibson ever really relaxes, but she was a little more normal. 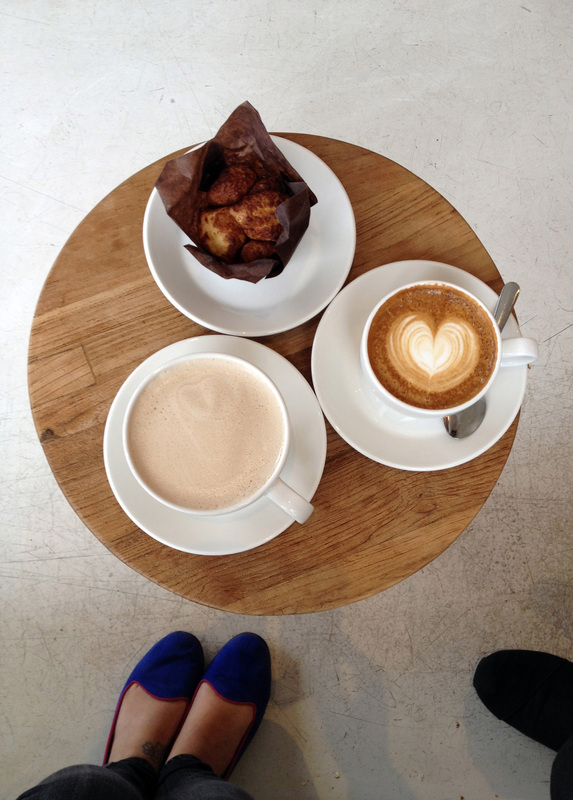 I discovered a coffee shop just down the road with my new favorite Chai Lattes in town. And they also have the cutest little round tables. 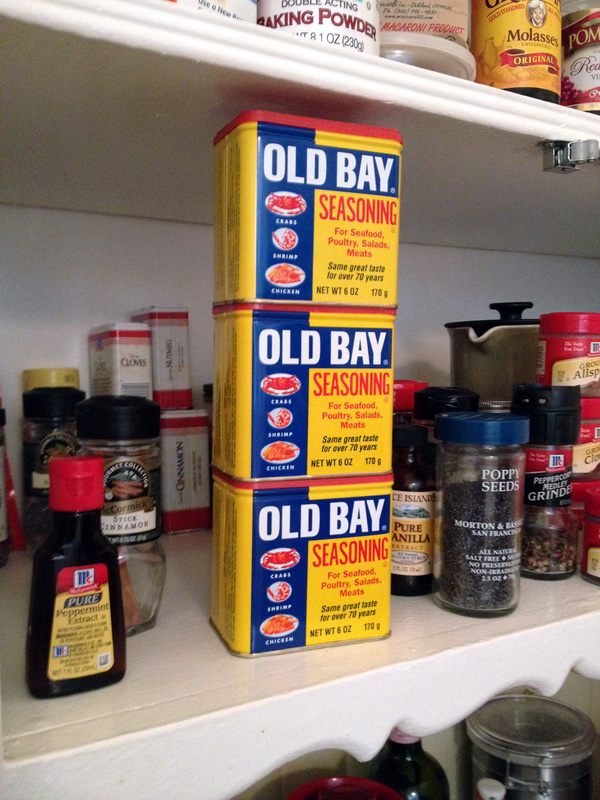 I discovered that I have an Old Bay addiction. Who really needs three cans of the stuff? Even when you’re 3000 miles from Maryland? 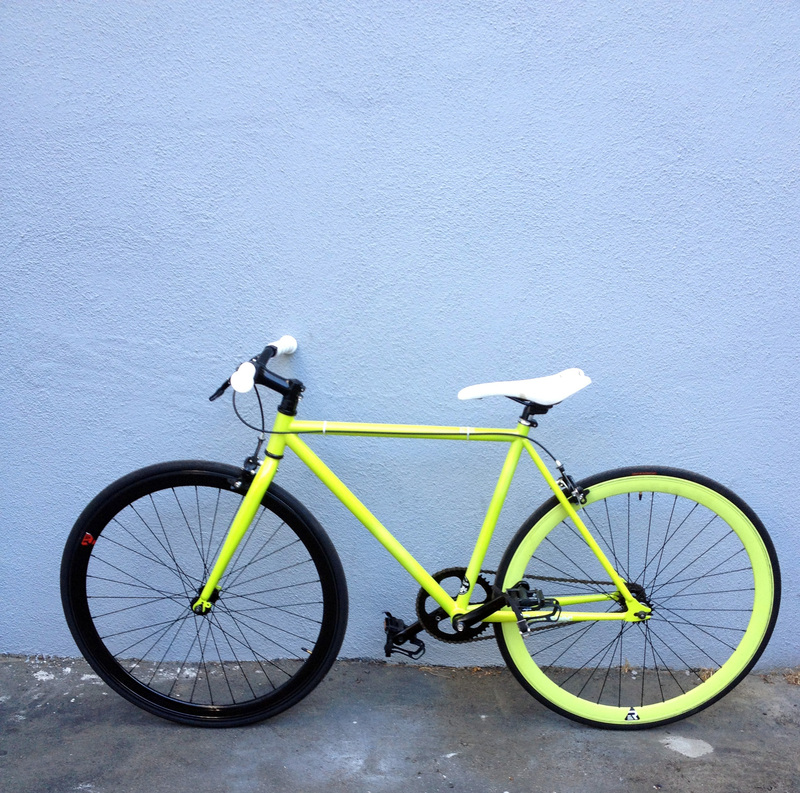 Brad helped me buy a new bike – something a little easier to ride and a whole lot cooler than my beach cruiser. Neon! 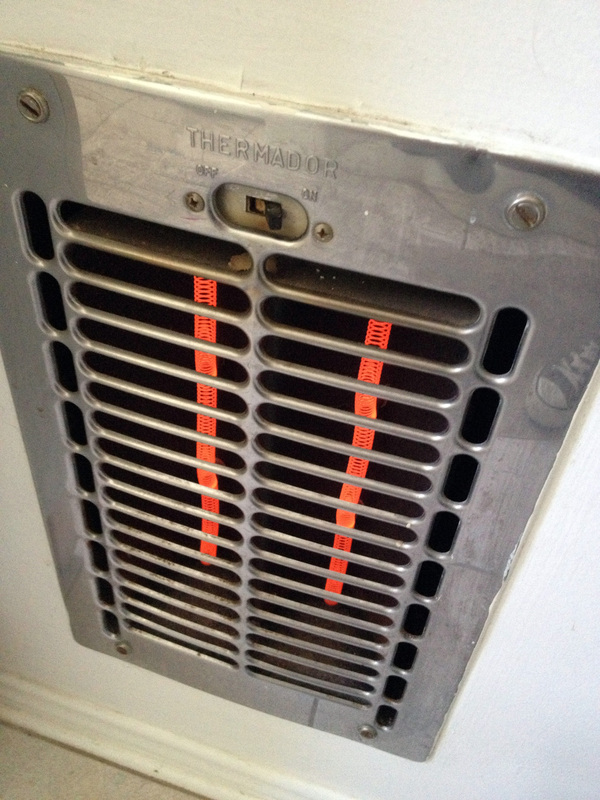 We have a crazy bathroom heater from 1975 with an even crazier name. Thermador sounds like a super hero (or villian?) name. Thermador to the rescue on chilly mornings! And when Gibson is chilly, she just wears her scarves. She looks darn good in them, too. 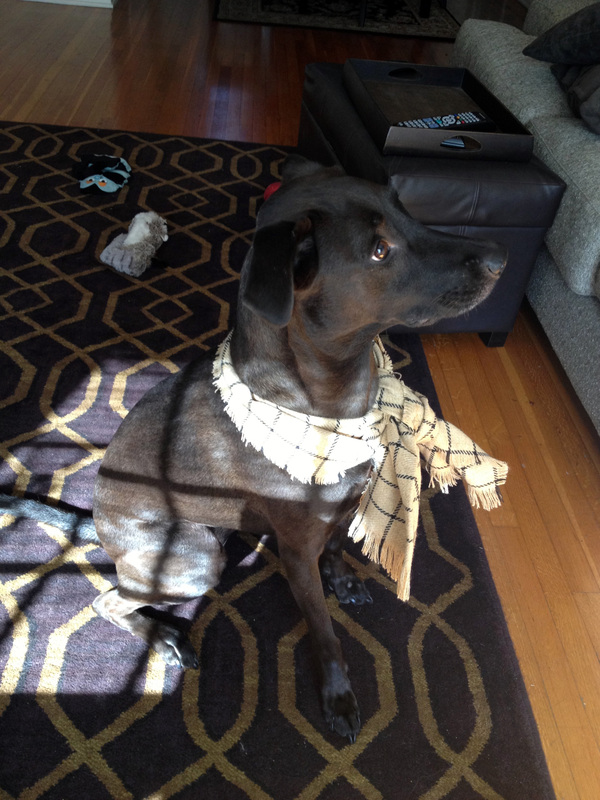 Gibson looks so cute in her scarf! Gibs says “Thank you!” We’ve decided that it is like her “Thunder Scarf”. She has so much more confidence when she wears it!